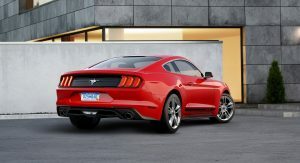 Ford has officially unveiled the new Pony Package for the 2018 Mustang. 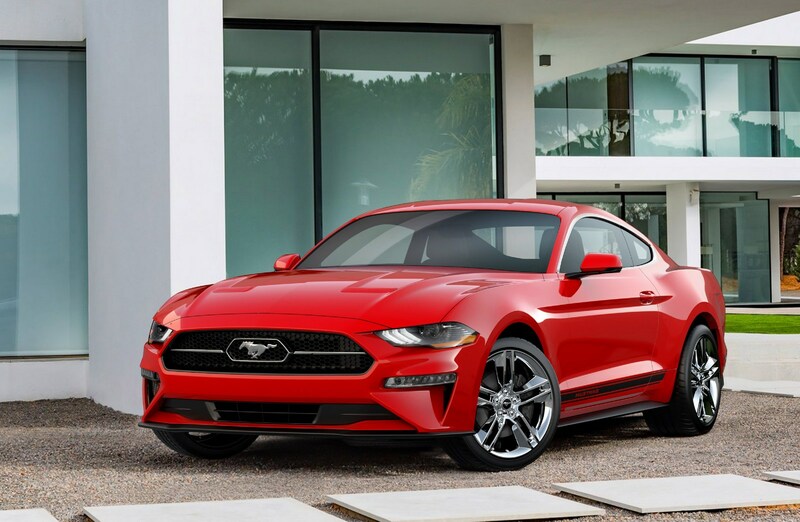 Available on models equipped with the 2.3-liter EcoBoost four-cylinder engine, the Pony Package includes a number of retro-inspired styling cues including a “pony-in-corral” chrome grille. The grille traces its origins back to the original Mustang and was last used on the 50th anniversary Mustang. 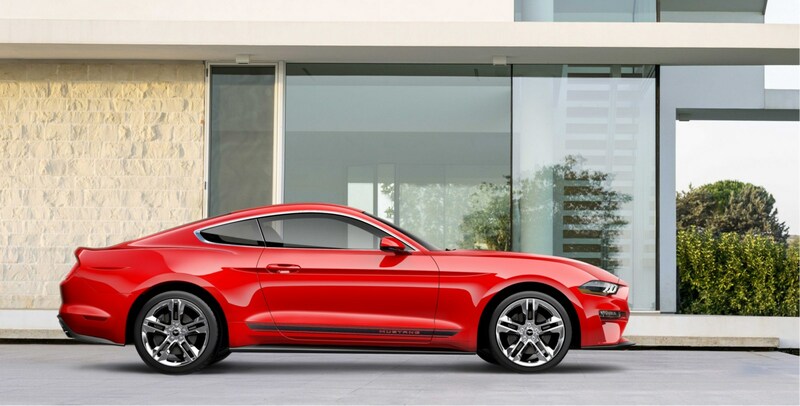 Besides the classic grille, the Pony Package includes bright window surrounds, side stripes, and 19-inch polished aluminum wheels. Rounding out the changes are a tri-bar pony badge on rear decklid appliqué and special floor mats with an embroidered pony logo. 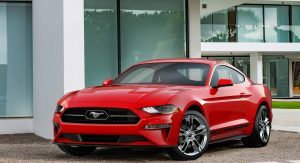 The 2018 Ford Mustang will go on sale in the United States in October and the model features a number of styling and performance upgrades. 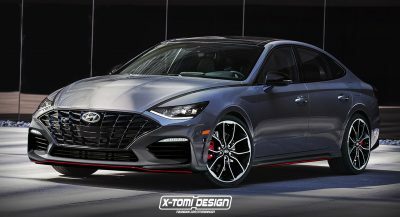 Starting with the exterior, the car has a new front bumper, a revised grille, and restyled air intakes. 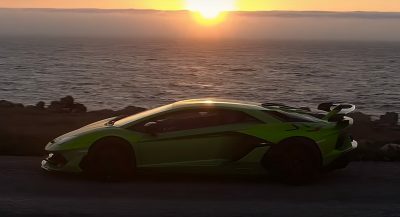 Designers also created a new hood, revised taillights, and a modified rear bumper. 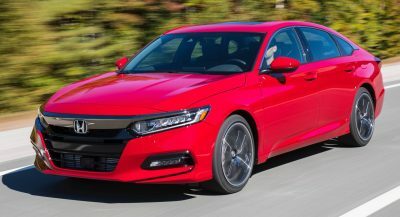 The changes are more than skin deep as engineers added revised shock absorbers, improved stabilizer bars, and a new cross-axis joint in the rear suspension. Customers can also order new MagneRide dampers and an assortment of new driver assistance systems. 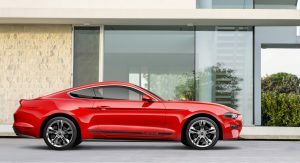 Ford is keeping performance specifications under wraps but the 2018 Mustang will be offered with a 2.3-liter EcoBoost four-cylinder engine and an upgraded 5.0-liter V8. 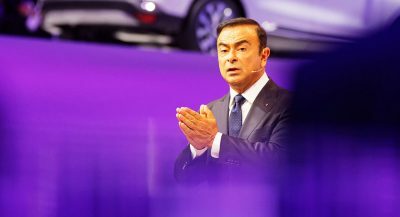 The engines can be paired to an improved manual transmission or a new 10-speed automatic gearbox. looks good in these pics..hated the update when i first saw it. This and the Camaro are aging very quickly. Must be cause there’s too many around. The Mustang and Camaro are both pretty new. Although Chevrolet took more of an evolutionary design with the current generation Camaro, much like Audi and Volkswagen. Anyway no one recycles old platforms like Fiat Chrysler. retro package should also include chrome handles and mirrors.. just saying..
That’s just pure bad taste. You can be ‘retro’ without being tacky. I think crome trimmed tailights like the anniversary models would’ve been a nice touch. Yes, they were subtle and well-judged. 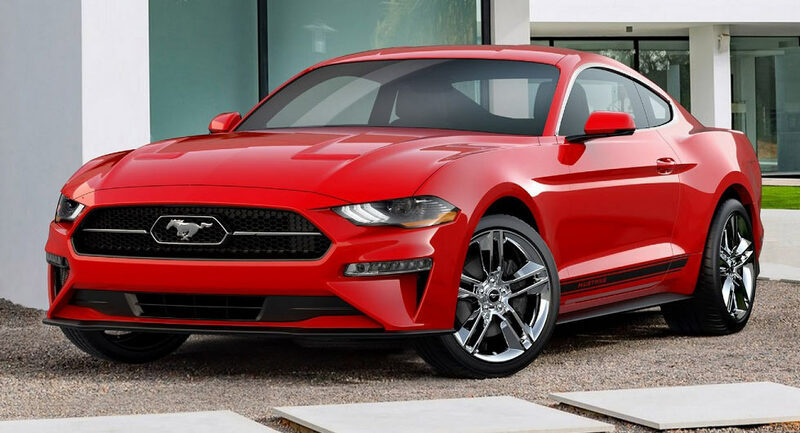 True (normally), but when the current Mustang design is quite contemporary, going overboard with chrome just doesn’t look right. i will admit the mirrors would’ve went too far.. but either should’ve been optional. weird coming from me because I’ve blacked out all the chrome on my car.. I agree. I personally don’t like the retro package. And I’m a Ford guy. I just don’t like going backwards. I didn’t vote for the Giant Douche… no, I mean Donald Trump. I didn’t eat the Remember Berries. I am not really a big fan of chrome myself. To each his own. This update spoils the great looks the car once had. Doesn’t really look shockingly different to my ’16 and you get more tech and horsepower. Disagree completely. 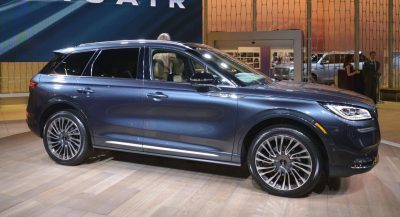 Most current upscale European cars have bright window treatment as do cars like Tesla Model S. It’s not just retro, it’s contemporary as well. 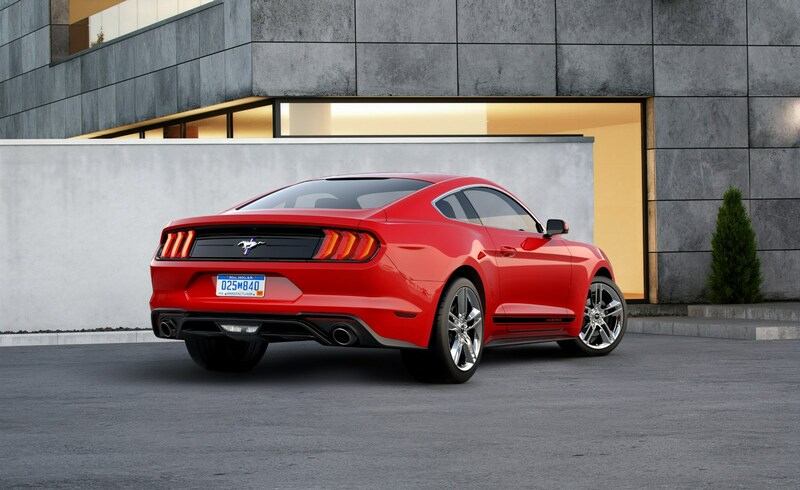 If I didn’t already have a ’16 Mustang, I’d consider this Mustang with Pony package. I think he was referring to the mid cycle headlight drooping…. This needs a facelift. PRONTO. I can think of dozens of current cars with much less attractive faces, many more. Way to go, it is UGLY. This car is so ugly they should have given IT the camera to take pictures of everyone else. That front end is a few steps back in my opinion. Really bad… And they were headed in such a good direction. Same ugly hood as the Audi A5. Looks like a actfish now… Or just like if the front melted.